The Zubair oil field is located in southern Iraq, approximately 20km south-west of Basrah, Iraq. Discovered by Basrah Petroleum Company in 1949, the onshore oil field contains 4.5 billion barrels of proven reserves. The field is being redeveloped by a consortium comprising Eni (32.81%), Oxy (23.44%), KOGAS (18.75%) and Missan Oil Company (25%). The consortium was awarded the field license in October 2009 for a period of 25 years. Holding the biggest share in the consortium, Eni started operating the oil field in early 2010. The field currently produces about 360,000 barrels of oil a day. The redevelopment project is expected to increase the field’s production capacity to 850,000 barrels of oil a day by 2018. Iraq Crude Oil Export Expansion Project (ICOEEP) is a 247km-long pipeline master planned by the Iraqi Ministry of Oil (MoO). The redevelopment project primarily involves the drilling of more than 200 wells, the construction of treatment and storage facilities, and refurbishment of the existing facilities. The new oil and gas processing plant is capable of treating 80,000 barrels of crude oil a day. Six crude oil storage tanks with a capacity of 58,000m³ each were installed at the site. 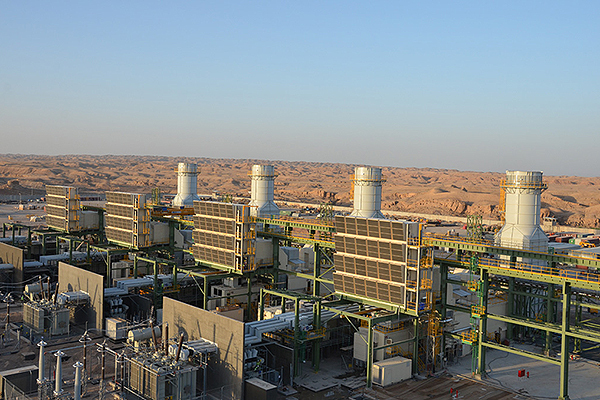 A 740MW gas-fired power plant is also being constructed as part of the redevelopment project. Construction of the workers’ site buildings covering a total area of 25,788m² was completed in October 2012. Eni and Kogas commenced the operations of three new generation oil, gas and water treatment plants at the Zubair field in March 2016. The front-end engineering design (FEED) studies for the project were carried out by Enereco. The feasibility study for the off-site activities was carried out by Compagnia Technici Ingegneri. The engineering, procurement and construction (EPC) activities, including the pre-commissioning of the gas and oil separation plant (GOSP) with a capacity of 200,000 barrels a day, was awarded to Samsung Engineering in March 2014. The $840m contract was awarded on a lump-sum turnkey basis. A KRW220bn ($208m) contract for the construction of the oil and gas processing plant was awarded to STX Heavy Industries, while the EPC contract for the installation of new flow tanks was awarded to Rosco. The EPC contractor for the gas-fired power plant is Alstom, which supplies four GT13E2 gas turbines under the €400m contract. The EPC contractor for the early production facility (EPF) is Weatherford International. The process vessels for the EPF were supplied by Velath, while the API 610 OH2 A-Series pumps were supplied by Amarinth. Habtoor Leighton Group (HLG) has been subcontracted by Weatherford to carry out certain engineering works and construction of civil, utility and infrastructure facilities the project. "The new oil and gas processing plant is capable of treating 80,000 barrels of crude oil a day. " The EPC contract for the pipeline installations was awarded to Drake & Scull International (DSI), which is carrying out the works in collaboration with Sicim under an AED1.31bn ($357m) contract. 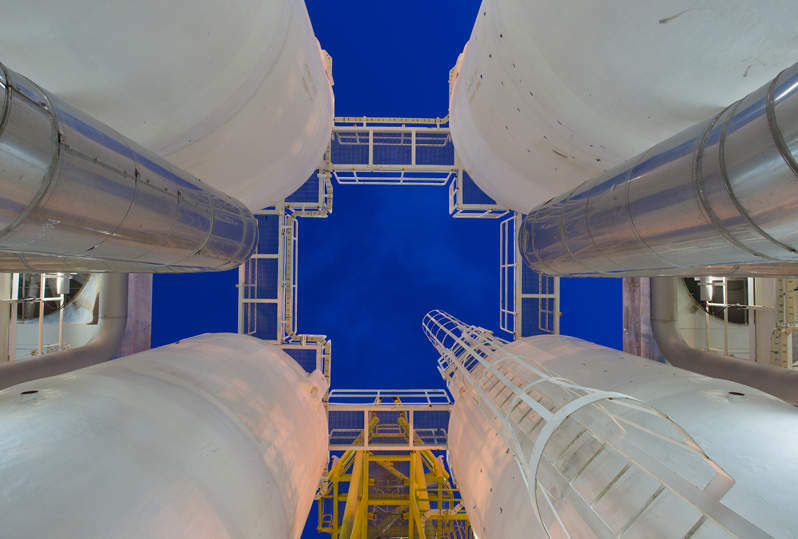 The contract involves the installation of oil and water flow lines, water trunklines, oil transfer pipelines, wellhead connections and degassing stations. Dietsmann provides technical assistance under a contract awarded in August 2012. C. Engineering has been contracted to carry out the implementation and management of the field’s computerised maintenance management system (CMMS). The workers’ site buildings were constructed by Dorce Prefabricated Building. Sinergia Compression has been subcontracted by Weatherford and STX Heavy Industries to supply lubricated screw compressors and diesel engine reciprocating compressor components respectively. The precast components for various facilities at the site were designed, supplied and transported by Al-Fayha Group. Termomeccanica Pompe (TMP) supplied 24 centrifugal pumps for the project, while the related seals, couplings, and hydrodynamic bearings are being supplied by John Crane. MMI Engineering (MMI) provides technical consulting and engineering services for effective risk management. Howden compressor division companies design and manufacture advanced gas compressors for some of the most demanding and process-critical operating environments in the oil and gas, petrochemical and power industries.